When Amazon sets its sights on a new industry, corporate America shudders. The latest example came Tuesday, when the online retailing giant said it is working with Berkshire Hathaway and JPMorgan Chase to create a company to offer affordable health care to their employees. Stocks of health insurers tumbled, erasing billions of dollars in shareholder value. It has happened before. Supermarket stocks slumped when Amazon unexpectedly bought Whole Foods last year. And when Amazon said it would sell Kenmore washing machines last summer, it rattled the shares of other appliance sellers. Why is Amazon feared? Because it can grow businesses fast and take market share quickly, says Erik Gordon, a professor at the University of Michigan's Ross School of Business. "Amazon is a serial innovator," Gordon says. "They're very smart. Amazon scans the horizon and says, 'Why are they doing it that way?'" Before it sold toilet paper, TVs and just about anything else, Amazon.com launched in 1995 as a site that mostly sold books. At the time, it pushed other booksellers to beef up their online presence. But Amazon shook up the industry again in 2007, when it launched its Kindle e-book reader. Soon, more people traded paper books for digital versions. Barnes & Noble followed with the Nook e-reader two years later. But Borders, another bookstore chain, was slow to react and went out of business in 2011. Now Amazon is moving into physical bookstores. 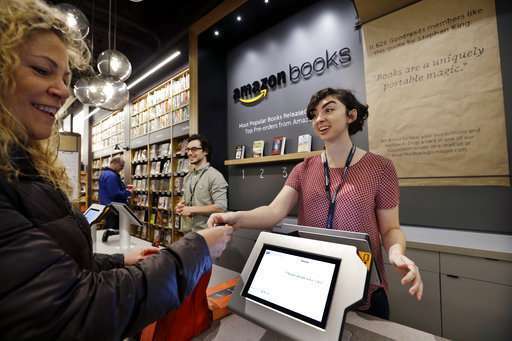 It has opened more than a dozen locations of Amazon Books, which also sell some toys, electronics and Amazon gadgets. But don't blame just Amazon for the failure of other retailers, says Neil Saunders, an analyst at GlobalData Retail. Blame competitors for not evolving, he says. "Amazon isn't a killer," he says. "It's just a disrupter." Big retailers, such as Target and Walmart, have spent billions to catch up with Amazon, and it seems to be paying off. Both companies have posted large increases in online sales recently. Kohl's, meanwhile, let Amazon inside its doors. The department store chain opened Amazon shops within its stores, selling Amazon's voice-activated Echo devices and other products. It also installed lockers where shoppers could pick up Amazon orders. But others weren't so quick to make changes. 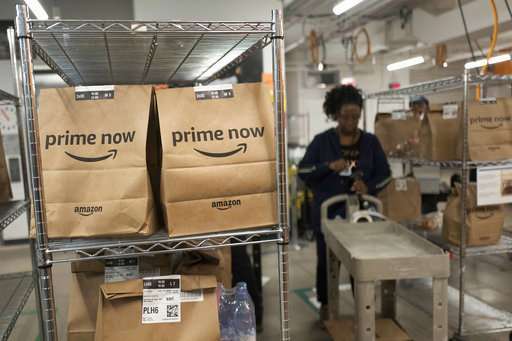 When toy seller Toys R Us filed for bankruptcy protection last year, it mentioned Amazon in its filing several times, saying that the online retailer's low prices were hard to match. And it said its Babies R Us chain lost customers to Amazon's subscription services, which allowed parents to receive diapers at their doorstep automatically. Toys R Us blamed its "old technology infrastructure" for not offering subscriptions. Amazon's purchase of Whole Foods pushed grocery stores to look at how they can improve their online ordering and delivery services. Some have partnered with delivery service Instacart. Walmart has expanded its online ordering and store pickup service. And Target recently bought grocery-delivery service Shipt. 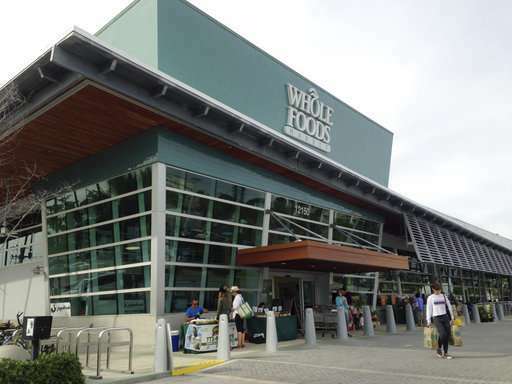 Amazon hasn't made major changes to Whole Foods yet. It has, however, lowered prices on some goods, such as milk, bananas and organic kale. And it installed areas in some locations to sell Kindles and Echos. But last week it offered a hint at how it envisions the future of grocery shopping. It opened a store in its hometown of Seattle with no cashiers or registers. Instead, shoppers scan a smartphone app to enter Amazon Go, grab what they want and they are automatically charged for their merchandise when they leave. Details on the new health care company Amazon announced with Berkshire and JPMorgan are slim. But experts say Amazon has the ability to shake up the industry. It already has a connection with shoppers if the company wants to expand beyond employees, says Kate McCarthy, a senior analyst at Forrester. And it has the infrastructure, too: Amazon lockers, which are already in many supermarkets and convenience stores, could be used to deliver prescriptions, says McCarthy. "Amazon can do just about anything," she says. But the complex world of health care regulation may slow it down. It's a "complicated space," says Idris Adjerid, a professor at University of Notre Dame's Mendoza College of Business.